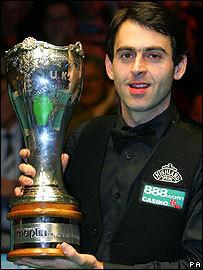 O’Sullivan romps to UK final win - Joakim A. Not that surprising considering the 8-0 lead from the afternoon session. Ronnie is now back at first place on the provisional ranking.